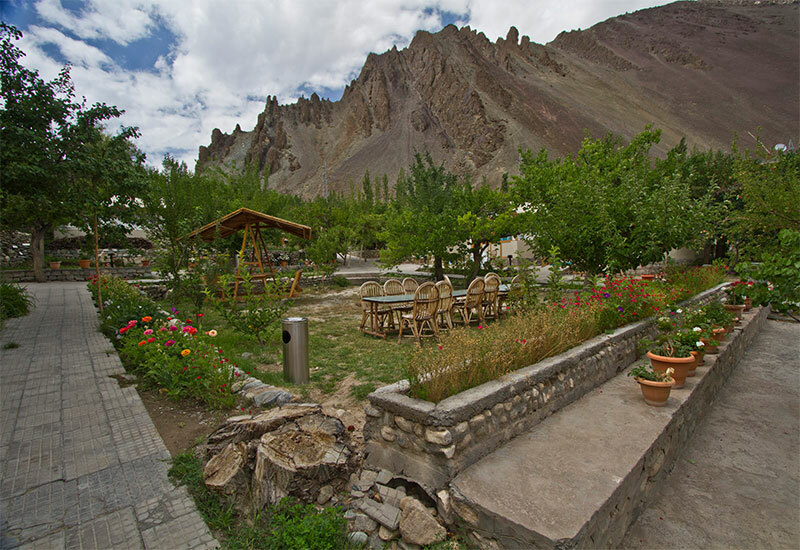 Sham valley, situated on the Leh Srinagar highway is home to ancient monasteries, river gorges and ancient trek routes. Famous for its riverside assortment of beautiful villages, trekking routes, rafting passages and the best yield of apricots, Sham valley is the Eden of Ladakh. Set at the cliff bank of river Indus, 55 Kilometers into Sham valley is the village of Ule Tokpo. The village is home to the family running Ule Ethnic resorts since 1974. A premier property, Ule Ethnic resort with 15 ensuite deluxe cottages and 15 ensuite huts. Ule Ethnic resort is the first fully solar powered tourism project in Ladakh, taking ahead the local sustainable tourism initiative. Back in the 1970’s, the first travellers from around the world discovered Ladakh as an indigenous, self-sustained, mountain community. The organic and self-sufficient lifestyle of the people here touched many of them and has since been recorded in many books and documentaries that have come up on Cultural Ecology of Ladakh. Back in those days Ule Ethnic resort was a farmhouse, where the farm provided for the frugal Ladakhi lifestyle of the family it housed and the family nurtured the farm like an added member. This brought to the camp the first Eco travellers, writers, environmentalists and artists who would spend days in and around the farm, writing and reflecting. It was the love of our guests and a keen interest of the founders that evolved Ule Ethnic Resort from a traditional Ladakhi farm stay to the first fully solar powered resort in Ladakh also growing 80% of the vegetables, herbs and dairy on site, assuring fresh, healthy and natural nutrition and flavours on your table. With facilities and standards at par to the hospitality industry around the world, Ule Ethnic resort assures luxury for the Expat traveler while keeping intact the idea of sustainable tourism through local knowledge systems and adaption of renewable resource technology from around the world. At the back end of Ule Ethnic resort is an enthusiastic team dedicated in developing an out of the world experience for our guests, bringing them up close to an ancient life of blessings and resonance with nature and here you are sure to experience bliss of simplicity and the wonders of Earth. 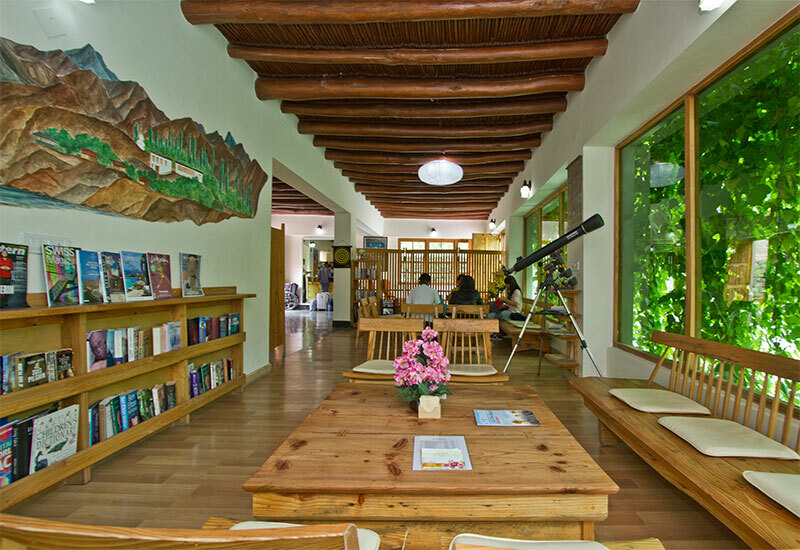 At the height of 10,000 feet, Ule Ethnic resort is ideal to to descend a 1000 feet lower from Leh and relax in nature for your first few days of acclimatising to the altitude. With facilities and standards at par to the hospitality industry around the world, Ule Ethnic resort assures luxury for the Expat traveler while keeping intact the idea of sustainable tourism through local knowledge systems.